Marking the last Crosstown Rebels release of the Summer, Yousef steps into the spotlight with the compelling Vanity featuring entrancing vocals from The Angel. Heavyweight remixes courtesy of Carl Cox, and Bontan complete the package. Played for the first time by Damian, Vanity was premiered at Day Zero in January, with videos capturing this moment reaching the three million mark. The vocals of long term collaborator The Angel caress the memories of lovers gone in Vanity, whilst the drums and poignant breaks deliver high impact. UK DJ Bontan delivers the first remix, picking up the pace and adding his signature choppy beats. Musical royalty, Carl Cox is up next with an energetic force and increasing intensity levels. Switching it up, Yousef returns with his Black & Acid Dub complete with throbbing drums and stripped back vocals. 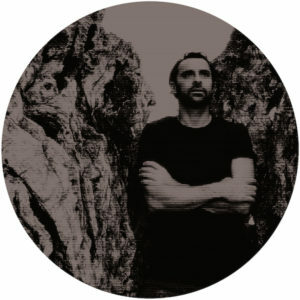 Famed for his legendary Circus events in Liverpool and a recent worldwide tour, Yousef has been at the forefront of electronic music for over fifteen years. With releases on Cocoon, Defected and BPitch among others, Yousef also has a weekly radio show aired in over fifty countries, with over 20 million global listeners.